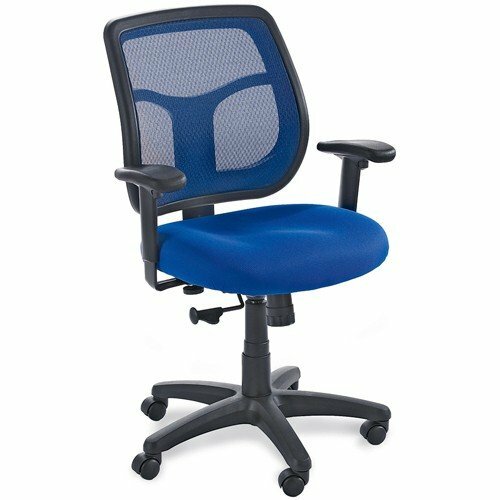 AroundtheClock task chair from Eurotech provides all day support, with eight ergonomic adjustments that allow multiple users to customize the chair for a perfect fit.Extra thick 5'' seat and 4'' thick back allows for more comfort and lumbar support. Back has plastic outer shell to protect it from everyday wear and tear. Weight capacity is 250 lbs.All Eurotech products have been certified by Greenguard as meeting the Indoor Air Quality pollutant guidelines and standards. Greenguard is an independent, nonprofit organization that certifies indoor products based on strict chemical emissions criteria. Greenguard certification provides thirdparty assurance that products have been tested for potentially harmful chemical emissions and found to meet allowable levels established by public health authorities. Ships ready to assemble. 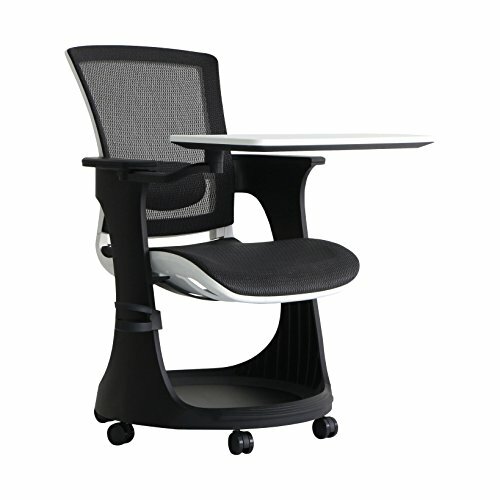 EUROTECH Ergohuman Mesh Chairs feature eight ergonomic adjustments for maximum comfort all day. Breathable mesh seat and back promote air circulation and offer increased support. 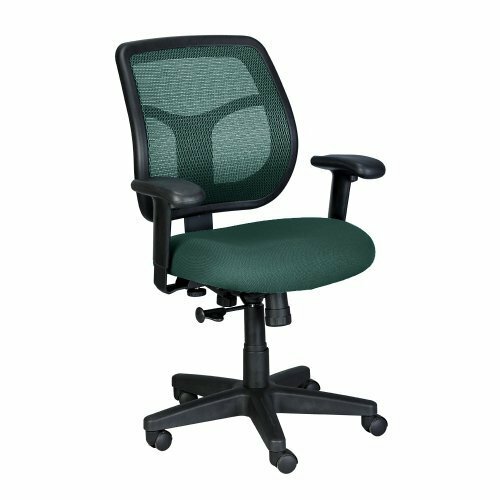 Adjustability includes: tilt tension control, tilt lock, back angle, back height, synchro tilt, seat height, seat depth, and arm height. Chrome/polypropylene base with nylon casters. Made of 97% recyclable components. Greenguard indoor air quality certified. Meets or exceeds ANSI/BIFMA standards. tilt tension control,center tilt, back angle adj,synchro-tilt,seat height adj,seat depth adj,arm height adj. 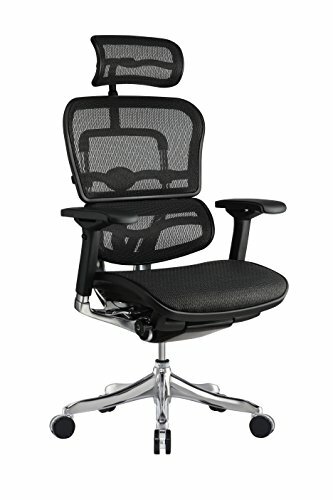 EUROTECH Apollo Mesh Back Task Chair features a breathable mesh back with matching fabric seat. 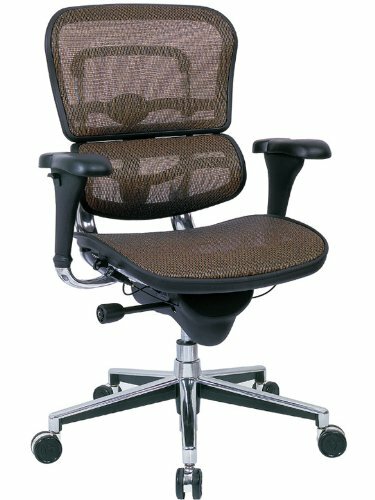 Adjustability includes: synchro tilt backrest, tilt tension, seat height, back height, seat angle, arm height and arm width. Includes arms and dual-wheel casters. Greenguard indoor air-quality certified. Meets or exceeds ANSI/BIFMA standards. First established in 1979, Eurotech believes in delivering real value to their customers through superior craftsmanship and design. These three simple pillars still stand behind their promise of exceptional seating with every chair they sell. 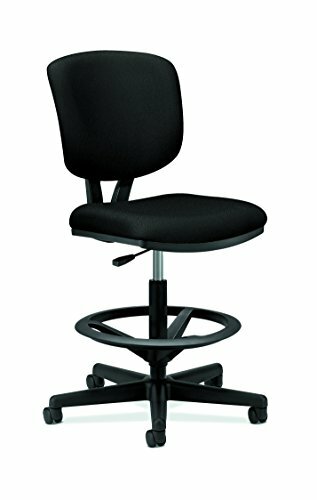 AroundtheClock task chair from Eurotech provides all day support, with eight ergonomic adjustments that allow multiple users to customize the chair for a perfect fit.Extra thick 5'' seat and 4'' thick back allows for more comfort and lumbar support. Back has plastic outer shell to protect it from everyday wear and tear. Weight capacity is 250 pounds.All Eurotech products have been certified by Greenguard as meeting the Indoor Air Quality pollutant guidelines and standards. Greenguard is an independent, nonprofit organization that certifies indoor products based on strict chemical emissions criteria. Greenguard certification provides thirdparty assurance that products have been tested for potentially harmful chemical emissions and found to meet allowable levels established by public health authorities. Ships ready to assemble. 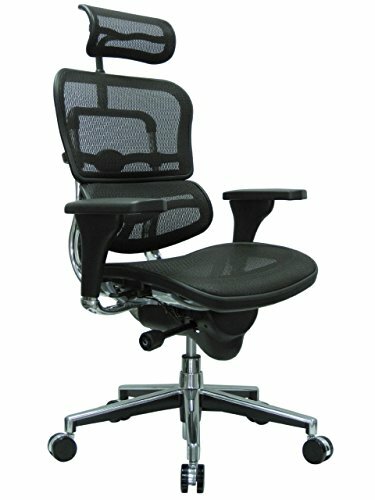 Looking for more Eurotech Task Chair similar ideas? Try to explore these searches: Pet Light Bulb, Entertainment Centerset, and Scuba Diving Speargun. Look at latest related video about Eurotech Task Chair. Shopwizion.com is the smartest way for online shopping: compare prices of leading online shops for best deals around the web. 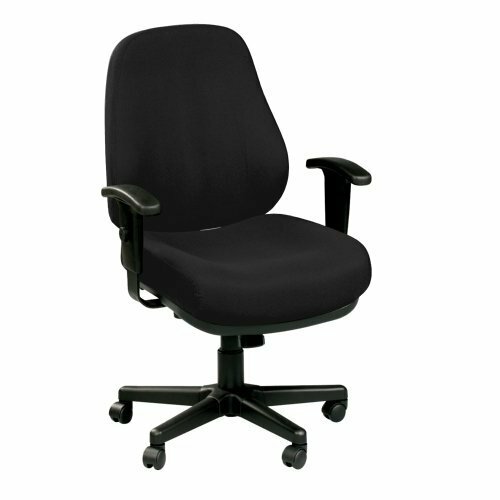 Don't miss TOP Eurotech Task Chair deals, updated daily.